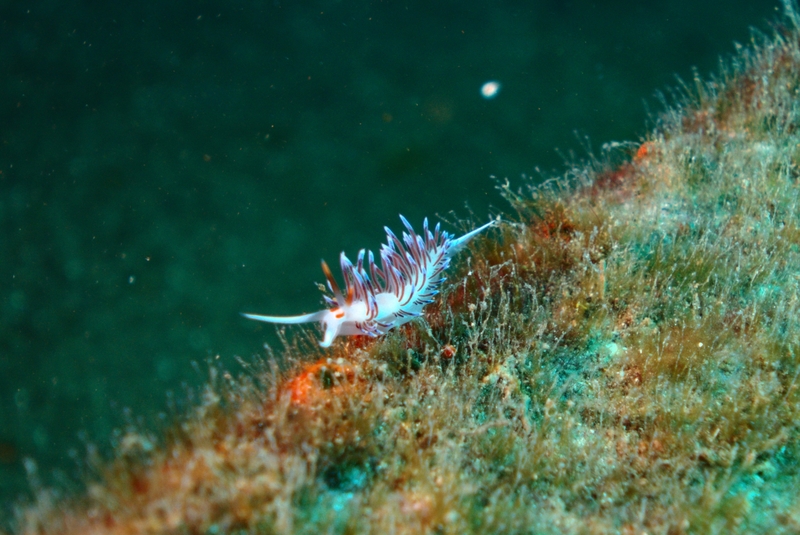 A lovely Cratena peregrina just sitting on the rail of the Um El Faroud. This is the first of this species I’ve seen. Almost… almost-not-quite… in focus. I’m slowly resolving to bring along a pocketed macro lens just for these occassions. This work is licensed under a Creative Commons Attribution-ShareAlike 4.0 International License. Please attribute Kristaps, the photographer, with a link to kristaps.bsd.lv/photo0016.html.